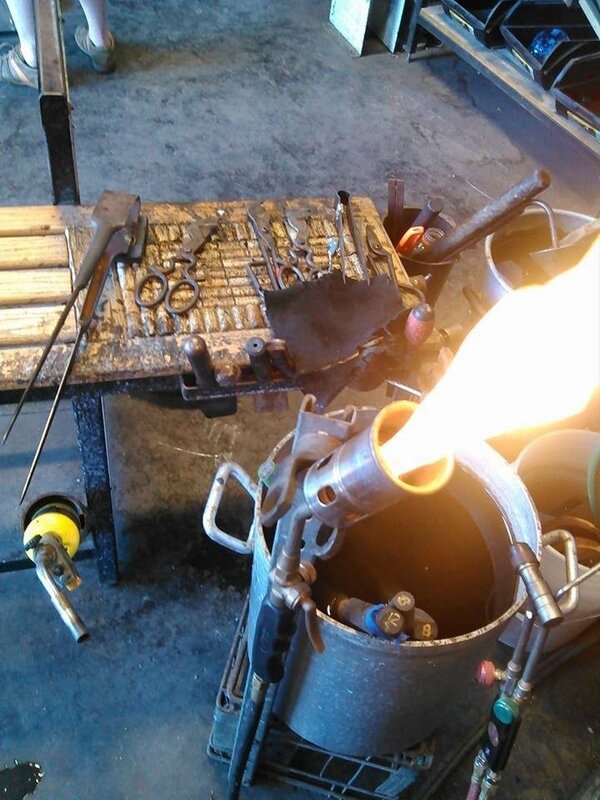 Bench rental at our studio offers full creative autonomy for professional and hobbyist glass blowers. 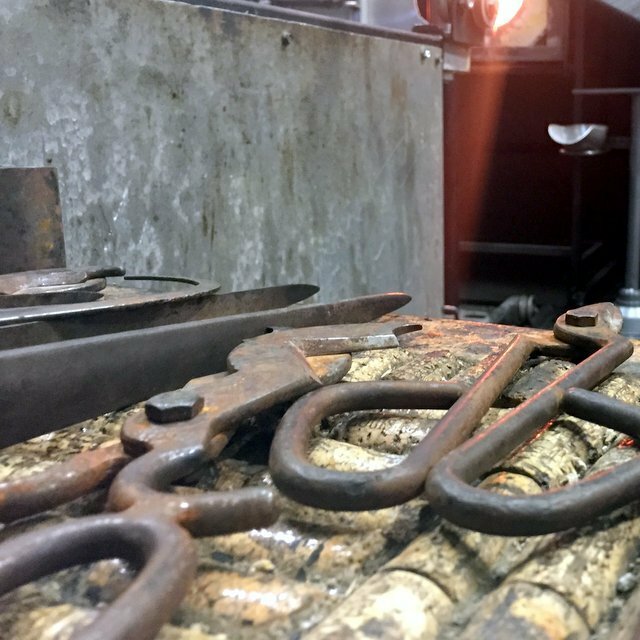 If you’re already a glass blower and looking for a place to blow, please read on and apply now to become a member. If you want to learn the art of glass blowing, please visit us at Classes for Glass Blowers. Application for studio membership, including liability and photography release forms, must be completely executed before use of studio is allowed. Members must prove that they are competent in glassblowing by a letter of reference and/or by demonstration. Members must have a competent assistant or glass blower present during session for safety reasons. No solo blowing! Membership privileges will include the use of annealers, glory holes, furnace, marver, and bench as well as pipes, punties and hand tools. Members are strongly recommended to bring their own hand tools, pipes, and punties. Members will be held liable, and may be fined for damage to studio equipment and/or improper shutdown of equipment. Studio is not responsible for loss or damage to members’ property. Members must have fun or they will be expelled from our merry band of gaffers! Hours must be purchased in blocks of 6 hours or more. Rates may increase for intense production or solid work. Please contact the studio to purchase time.